Card is serial numbered 11/25 made! Only 25 exist! ALMOST IMPOSSIBLE TO FIND THESE! All cards are NM or better. 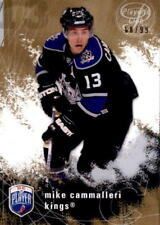 # HM-CM.Mike Cammalleri. 2007-08 Upper Deck. FLEER. HOT PROSPECTS. "HOT MATERIALS". # ST-MC. Mike Cammalleri. 2007-08 Upper Deck Hockey. "SP AUTHENTIC". The set number is S-HU. To CANADA. To CANADA. CARD NUMBER #ST-MC. 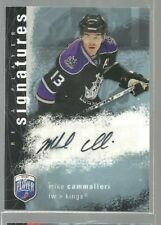 This is for a2007-08 UD ARTIFACTS AUTO FACTS CAMMALLERI AUTO SIGNED, AUTOGRAPH CARD.The card is in NM-MT very nice condition.the little white spots on the card are from the scan.